Designed with baffles to provide premium agitation at lower speed for gentler, more efficient aeration. 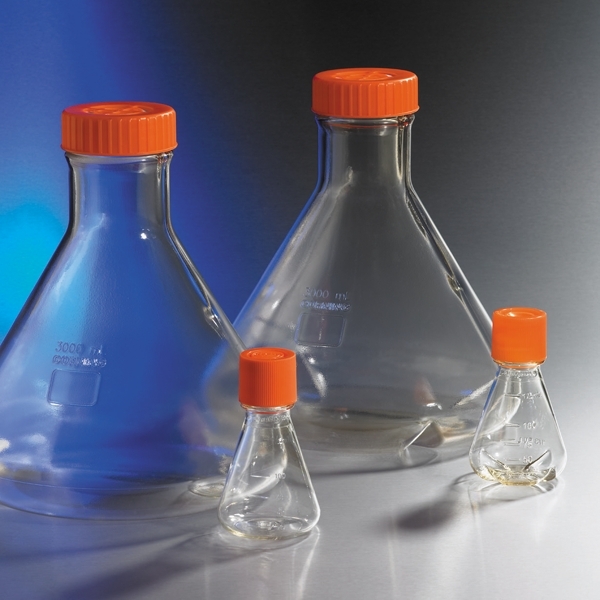 Corning™ Baffled Polycarbonate Flasks with Caps are ideal for shaker culture applications. Non-baffled styles are also available in all sizes on www.fishersci.com.